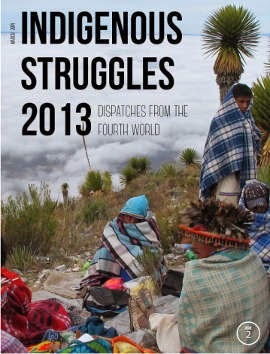 Intercontinental Cry has released Indigenous Struggles 2013: Dispatches From the Fourth World, with coverage of more than 450 events from last year. They provide a free PDF download and the option to order a print copy for $15 + shipping. Download or order today to get up to speed on some of the most important current events of our times. You can also see their past publications, most of them free.